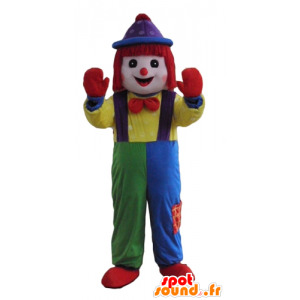 Entertaining, colorful and designed for optimum comfort, this clown mascot, atypical character with speakers on the head and an elegant purple suit surprise everyone. 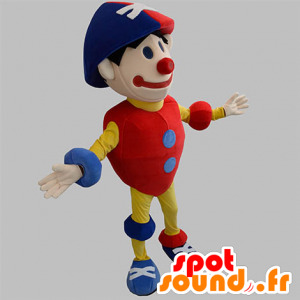 It easily fits in a park, in a circus, in shows or performances, to delight your audience and your loved ones! Customizable to your image! 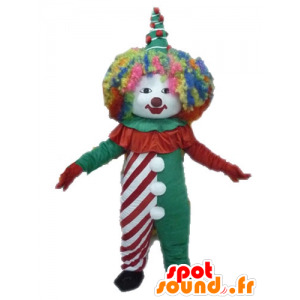 clown mascot, harlequin, festive and colorful man with a hat and holding red and white, offered for sale on Spotsound. With this costume, enjoy our quality clothing and the rapid dispatch of our products. This unique suit of its kind is made with a fabric quality! Impress the kids a snack or your audience during performances! 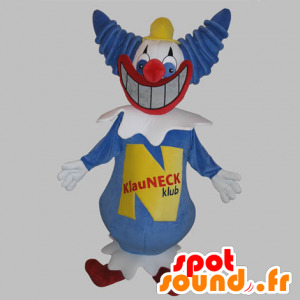 Entertaining, colorful and designed for optimum comfort, this mascot in blue and white clown, giant, grinning, surprised everyone. 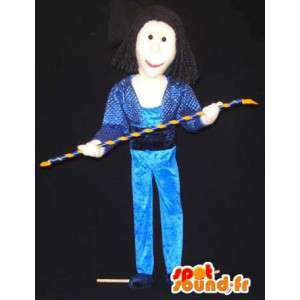 It easily fits in a park, in a circus, in shows or performances, to delight your audience and your loved ones! Customizable to your needs, for even more fun, so do not hesitate! 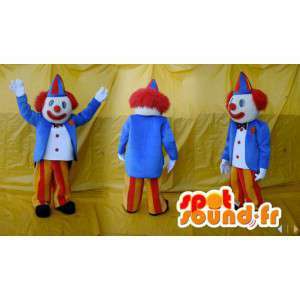 clown mascot, very colorful and funny fellow, offered for sale on our site Spotsound. With this costume yellow, blue and red sold with all its accessories, enjoy our quality clothing and the rapid dispatch of our products. This unique suit of its kind is made with a fabric quality! Impress the kids a snack or your guests at parties! 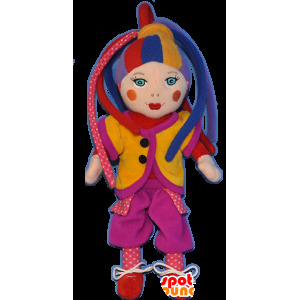 clown mascot, harlequin, festive and colorful doll with a dress and colored locks, offered for sale on Spotsound. 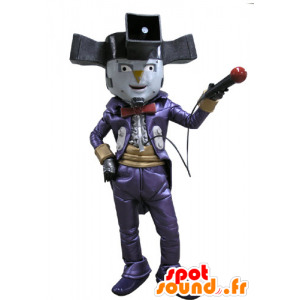 With this costume, enjoy our quality clothing and the rapid dispatch of our products. This unique suit of its kind is made with a fabric quality! Impress the kids a snack or your audience during performances! 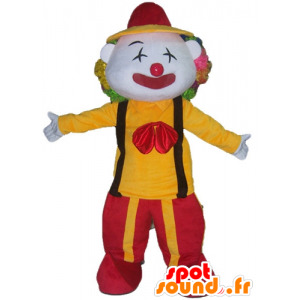 clown mascot colorful, offered for sale on our site Spotsound. With this disguise green, white and red and all its accessories including the wig and hat, enjoy our quality clothing and the rapid dispatch of our products. This unique suit of its kind is made with a fabric quality! Impress the kids or your guests at parties! 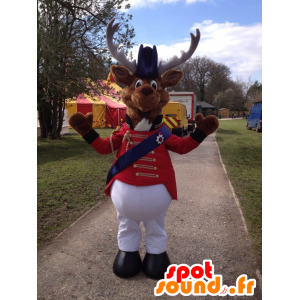 Mascotte reindeer, caribou, moose and brown, with large wood, dressed in a circus costume. Larger than life, it will be perfectly suited to a circus, a representation, shows or for your sports team. Add a logo, slogan or accessories. Contact us for any customization. We are at your disposal! Mascot clown proposed purchase on our site. With the blue, yellow and red costume and with all its accessories including colorful hat, enjoy our quality garment and the rapid deployment of our products. This unique suit of its kind is made with quality fabric! Impress the kids a snack or your guests at parties! Mascot clown proposed purchase on our site. With the yellow and red costume with all accessories including bow-tie red, enjoy our quality manufacturing and rapid delivery of our products. This unique dress is made with quality fabric! Impress the kids a snack or your guests at parties! Woodchuck costume circus orange and yellow with a blue hat. Soft, cotton fiber for quality events or theme parties. 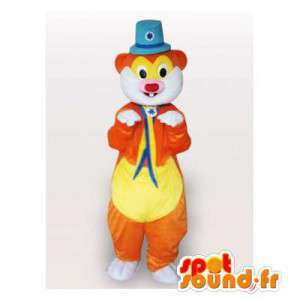 With our mascot groundhog circus animate a circus, a zoo and all kinds of events. 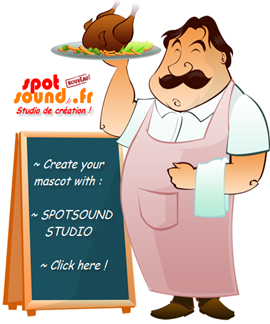 Easily customizable with your logo or changing color, our mascots are sent quickly. 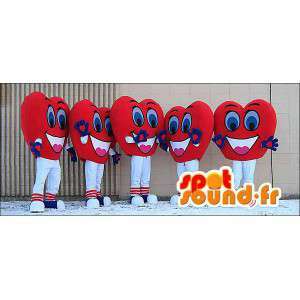 Costumes giant red hearts and smiling, offered for sale on our platform disguises. Sold for 5 with all accessories. 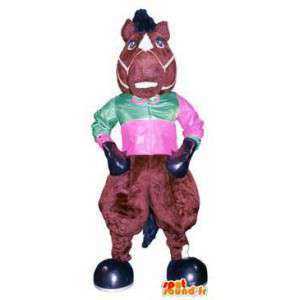 With these costumes, organize festive events, business, romantic or even fancy dress. 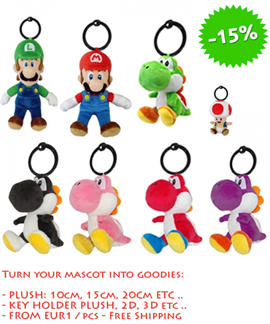 You will find these mascots in different sizes and you will be delivered quickly. This costume is machine washable. Fast shipping. 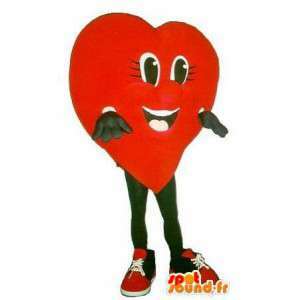 Mascot shaped body, red heart. Costume of the human body, available on our platform Event and disguises. Perfect costume to finish, can be used at your shows, various events, a museum, an animated scientific or medical. This costume is machine washable heart. For more information, contact our team! 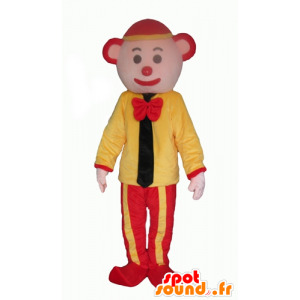 Choose original and sympathetic disguise with this mascot representing a huge plush nanny who has a small detail making the difference: the red nose! 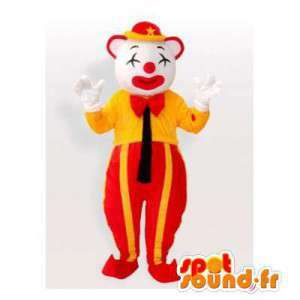 This clown bear will amuse the kids and adults and will an atmosphere filled with humour and fantasy in your events and celebrations. This disguise is delivered free of charge to the address of your choice. Play map of love and fantasy by scrolling through this giant heart in the middle of your guests who will be delighted to spend a moment in his company. This red plush heart smile to your guests and leave them a sweet memory. 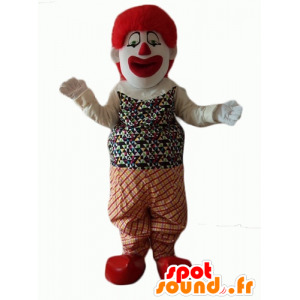 This adult plush costume is comfortable, easy to wear and is machine-washable. 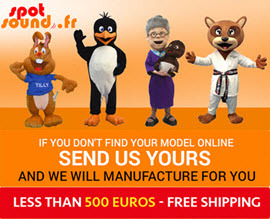 Shipping is free anywhere in France. 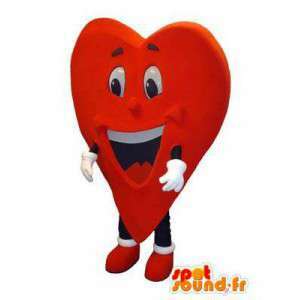 Giant red heart, presented for sale on our platform of fancy dress costume. 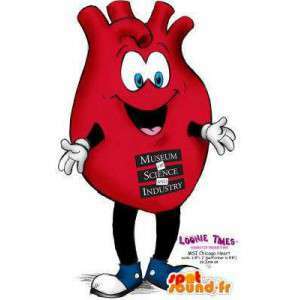 With this giant heart suit, organize disguised parties, festive, commercial, romantic events or disguised evenings. 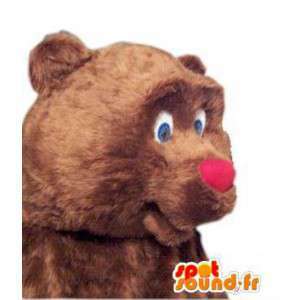 You will find this mascot in several sizes and you will be delivered quickly. This costume is machine washable. 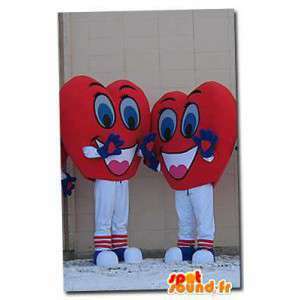 Red giant and smiling hearts costumes, presented for sale on our fancy dress platform. Sold for 2 with all accessories. 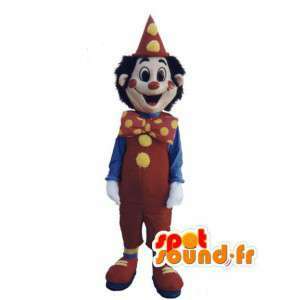 With these costumes, organize events festive, commercial, romantic or even disguised evenings. 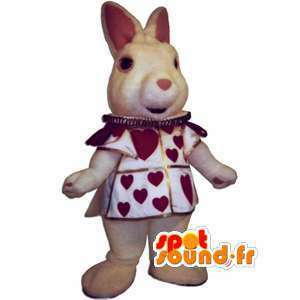 You will find these mascots in several sizes and you will be delivered quickly. This costume is machine washable. Fast shipment. 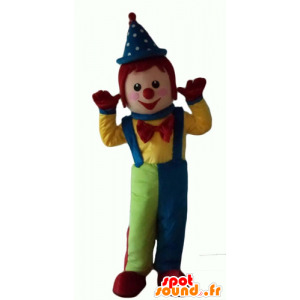 Nice circus garnished clothes plush mascot red blue and green as well as a blue pointed hat. This disguise is ideal to animate all your cultural, festive, or commercial. It is lightweight and comfortable, but also easy to own via a washing machine. Fast, free and secure delivery. 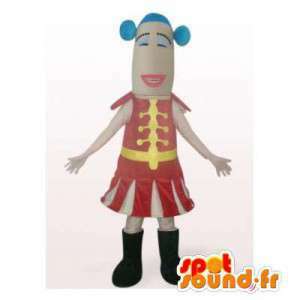 Mascot of Acrobat circus entertainer, with his blue suit of show. 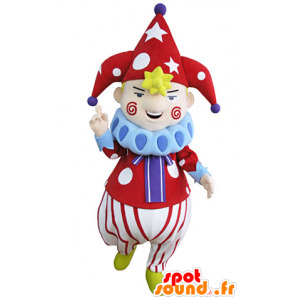 Ideal for costume parties, a show, a circus, a gala or to arrange an event special, colorful and original. Available in 7 sizes. Machine washable, it meets the standards. The mascot is made with care and sent quickly. 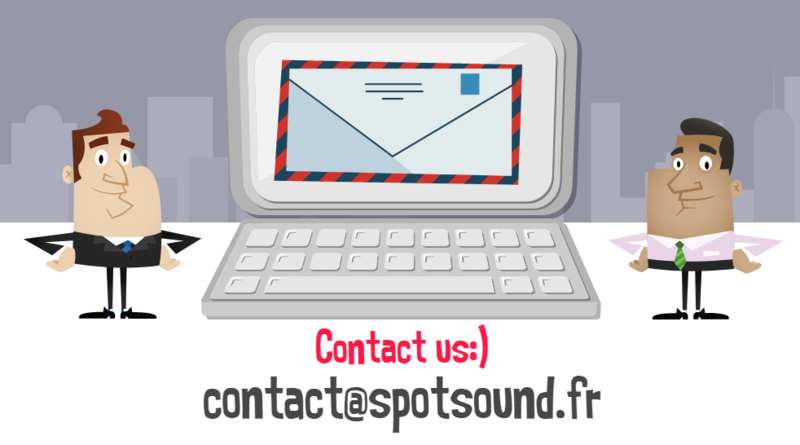 For all information, please contact us. 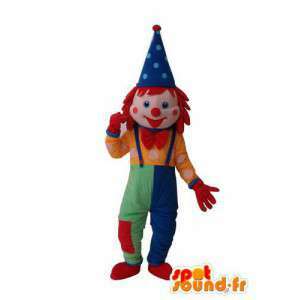 Clown mascot proposed for purchase on our site. With this multicolor disguise and all of its accessories including the CAP and the flange, take advantage of our quality of manufacture and the early dispatch of our products. This unique costume in its kind is made with quality fabric! Impress the children a snack or your guests at parties! 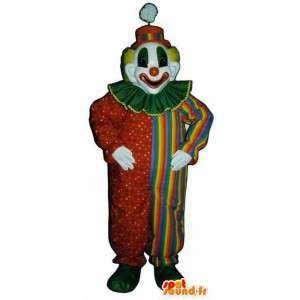 Costume clown yellow, red, and blue synthetic fur. Colorful and festive it livens up all your animations and like many children. Made with soft and resistant material, it is comfortable and easily washable. 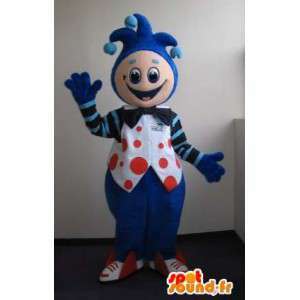 Mascot perfect finish that can be used at various commercial and festive events. Available in 7 sizes costume. 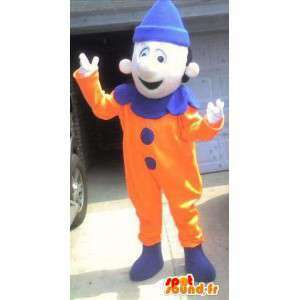 Mascot's orange and blue, clown with a blue Cap. Suit for personal or professional events such as commercial festivals, amusement parks, carnivals, theatre or any other opportunities to have fun or to promote a show. Our mascots are customizable and washable in machine. Free, fast shipping. Easy to maintain. 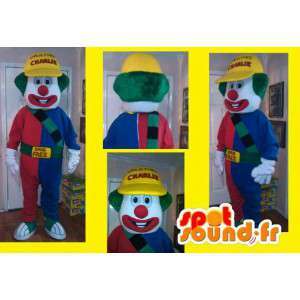 Yellow, red, blue and green clown synthetic fur costume. Colorful and festive it livens up all your animations and like many children. Made with soft and resistant material, it is comfortable and easily washable. 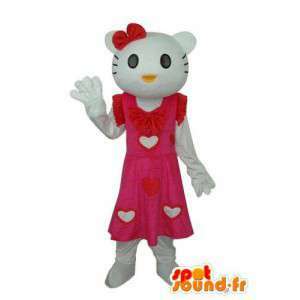 Mascot perfect finish that can be used at various commercial and festive events. Available in 7 sizes costume. 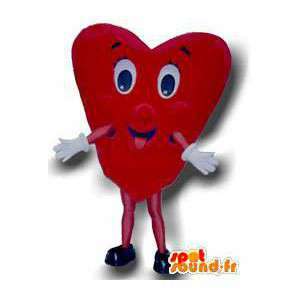 Mascot representing a character in the shape of heart red, available in 7 sizes and customizable to suit your needs. This costume is ideal for an original application in marriage or for mother's day animation successfully. It will be the most beautiful effect on disguised evenings. Supplied with accessories, this disguise is sent quickly and for free. Blue King Goblin mascot with holding red weight and a hat with bells, customizable to wish and available in 7 sizes. This original disguise will brighten your kids birthday parties and to optimize your commercial animations during the events on the theme of the toy. 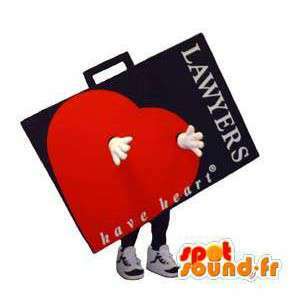 This costume comes with its accessories, is sent to you quickly and for free. 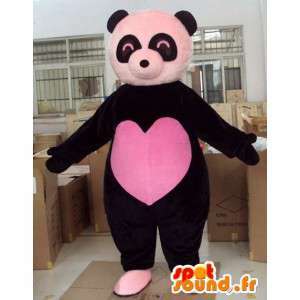 Costume of black bear with his big pink heart full of love at the centre for successful evenings or special events. With our black bear mascot and his heart pink, easily customizable by our designer, do talk to you in promoting your business. Our costumes will be delivered quickly, sent with care after a phase of preparation.